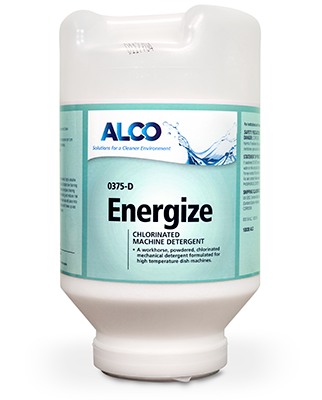 Alco Energize - Alco-Chem, Inc. Heavy duty, chlorinated, powdered encapsulated mechanical dishmachine detergent. Unsurpassed economy and results. For soft to medium water.